Pests and bugs of all kinds are an unfortunate part of life, especially when they have infested your home. Bed bugs are an especially difficult bug to deal with. These bugs are a human pest, live indoors, are hitchhikers, people carry them unknowingly from one location to another so they are not only prevalent in homes, but incidents have occurred in schools, transportation systems, movie theaters, hotels, and even in hospitals. Bed bug prevention is the key to keep these pests away from your home; however, once they are in your home, taking action to detect and exterminate the bed bugs is crucial in order to prevent them from biting and reproducing further. In order to understand the best way to exterminate bed bugs, you first must understand how an infestation occurs. Because bed bugs are tiny and great at traveling on people, they can easily go from one place to another. Traveling in seams of clothes or shoes, or in the folds of luggage, they can infest a space fairly quickly. Each female can carry up to 50 eggs at a time. The most common places that bed bug infestations occur are apartments, hostels, homes and hotels. Once the bugs are inside a space, they can travel from room to room or unit to unit. Detection is difficult because the bugs are small, nocturnal and their anatomy allows them to hide in the smallest crack, crevices, spaces and in areas and sometimes in areas they cannot be seen visually. Trained detection dogs are great tools for confirming an infestation and which rooms are infested and can the inspections can be done in a fraction of the time It takes a human. Because they are using the odor to locate the bugs and not their vision they can find bugs that may not be present to a human eye. Commonly, a first step in treating bed bug infestation is vacuuming. However, this method should not be used alone, but in addition to other treatment plans. Bed bugs are very capable of hiding in small creases and seams where a vacuum won’t be able to reach. In addition to vacuuming, a method of exterminating bed bugs is using steamers. Although these methods can eliminate the infestation, using a combination of insecticides, steam and/or thermal heat treatments offer more successful results. A more common method of bed bug extermination, aerosols, and other products can be used to kill bed bugs. Bed bugs are becoming resistant to insecticides, though, so different products are used depending on the situation. Used in places where bed bugs have been seen and commonly hide, spraying insecticides can be effective, but multiple sessions are usually required because they do not kill eggs and due the bugs ability to become resistant to them the bugs require high levels of exposure to thoroughly rid the home of bed bugs. Similar to spraying insecticides is fumigation. This process can be complicated and is only used by some extermination companies for the severe infestations the residents need to vacate the area overnight. This method is more typically used in single family homes because the entire building needs to be empty and at times covered by a tent. Heat treatments are an easier method for residents because there is less preparation required, heat treating to exterminate bed bugs requires heating the space up to temperatures between 120-145 degrees Fahrenheit. 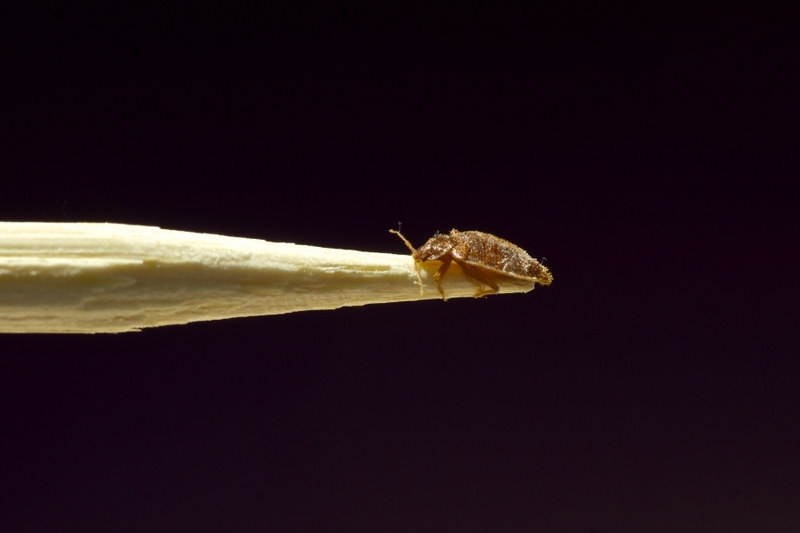 Bed bugs and their eggs are unable to survive in the high heat. Preparation does not require washing and drying of all of the clothing. The treatment is done in a single day and offers the highest level of success. A few heat sensitive items are removed, candles, medicines, vinyl items and select others. Laptops, TV’s can become infested and the heat can penetrate into those items to kill the bugs. If you suspect your commercial property or your personal home of being infested with bed bugs, it’s best to call a professional as soon as you see the signs. At Northwest K9 Bed Bug Detectives, we utilize the most effective methods for detecting and eliminating bed bugs and guarantee our work. Contact us today to rid your home of a bed bug infestation.